Wikipedia indicates eight trains use the station daily, which is served by Amtrak. There are also various bus services in use, and on a seasonal basis one can take a train from Utica to Old Forge in the Adirondacks. Here is a link to another blog who has a picture of the exterior from the back, where the tracks are. Below is a picture of the station's exterior from a couple of years ago, to give you a "now and then" perspective"
Wikipedia notes that the station was built in the Italianate style, with the main waiting area 15,000 square feet in size, and ceilings 47 feet high. The eight columns were brought from grand Central Station in New York, and the benches are warmed with pipes channeling steam. The interior no longer has a Western Union office, but still houses a barber shop (apparently one of the few left inside of a train station), and a restaurant (though I don't remember one being there when I checked it out a couple of years ago). Here is a photograph I took in 2006, for the "now and then:"
Quite a sight! Amazing to think that a structure that required this amount of space and grandeur now sees only eight trains come through daily...if only airports were designed with a fraction of the visual appeal. I remember arriving and/or departing at this station several times as a child, when we would come visit family from New York. Of course, as a child, the excitement of riding on a train expires quickly, replaced by almost terminal boredom (especially when said child is used to train rides that are the length of subway trips, not journeys up the Hudson River and through the Mohawk valley!). I also took Amtrak once in college, getting home from Connecticut by way of New York. That trip was far more interesting, though I still hadn't developed a taste for nostalgia like now. Here is another web page offering far more history on this station, as well as several other really nice photographs. If I ever get doen to the station again (or, even better, ride a train into or out of the station! ), I'll definitaly take more pics. Here is a postcard of the City National Bank Building, located in Utica, New York. I'm not sure what the exact date is, but if you look very, very closely, you can see the image of a person located in front of the building. Zooming in, it's apparent he's on a bicycle. The building to the left has a banner located between the second and third floors that reads, "Blliards Academy." Sounds like my kind of school - I doubt they have classes that begin before noon. Anyway, one of the shops below has the name "H. Marnill" on it (a google search didn't turn anything up), and I was unable to make out any of the other names. Here is a link to a more recent shot of the front of the building, and here is what the building looks like today. What is nice about a city like Utica is that many of the structures captured in postcards and photographs from long ago still exist. They may look different, and the surrounding businesses have changed, but much of the city still has the look and feel it did fifty or more years ago. That's something I had no appreciation of as a kid, but have come to appreciate as I've gotten older. Now, I'm not old enough (yet!) to sit around a tell a million stories about how I remember things from "The Old Days," even though my kids do get a kick out of it when I explain to them that, when I was a kid, we didn't have: cable, ipods, computers, DVDs, etc. However, one place I do remember going to at least a few times as a kid was Woolworth's. 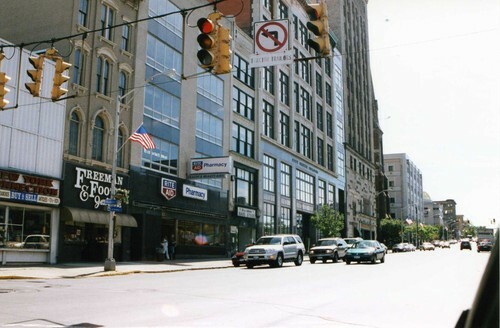 In Utica, Woolworth's was located downtown on Genessee Street, just north of Bleecker Street. I don't recall too much about the store, except that the shelves were loaded with all sorts of merchandise, and there was the lunch counter with the round seats that seem to attract kids like magnets attract metal. Anyhow, I hadn't given Woolworth's much thought, as the chain's official demise was in 1997, but had been declining for some time prior to that. As a teen-ager and into my 20s, one store was just as good as the next. However, I do recall my grandmother telling me some stories about Woolworth's from when she was a child, and I thought I might have remembered her saying something about the first Woolworth's actually being the one that was located in Utica. So, I did some research, and I found out a whole lot more about Woolworth's, its founder (Frank Winfield Woolworth), and its history than I ever thought I would, and it's fascinating stuff! F.W. Woolworth got his start in business in Watertown, N.Y., in 1873. He started at a dry goods store, striving for a career in business after growing up on a farm. His skills as a salesman did not impress, but his honesty and earnestness kept him employed at Augsbury and Moore. While he didn't sell well, he apparently had a knack for designing window displays, and in 1878, he had epiphany when, put in charge of getting rid of some surplus items, he created a "Everything on this table-5 cents!" sensation. He decided to try his luck opening his own store. Heading south from Watertown, F.W. 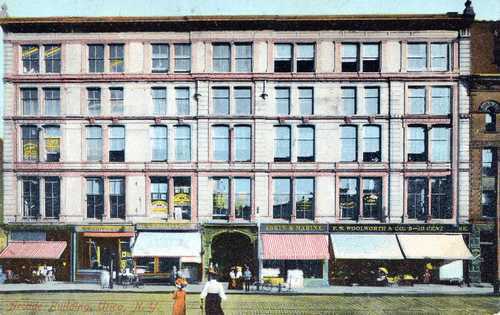 Woolworth decided to make his first attempt at discount retail in Utica, N.Y. His risked just about all of his money, leased a small shop, and opened "The Great Five Cent Store." The store opened in February of 1879, and did well for approximately six months. However, it eventually went out of business. F.W. 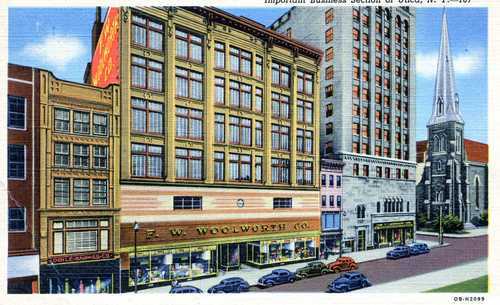 Woolworth learned much from his initial attempt, though, and tried another store, with a better idea (a variety of products, with different prices) that met with more success in Lancaster, Pennsylvania. The empire was born. F.W. Woolworth lived a true rags-to-riches story simply by selling products at reasonable prices so that the average person could by them, a lesson he had learned long ago as a farm boy who was often chased out of stores because his family didn't have much money. F.W. Woolworth returned to Utica in 1888, and became a fixture of the downtown area for a century. The demise of the Woolworth's empire is another tale (although there are apparently still some around overseas), one that is quite an interesting read in the book Remembering Woolworth's, by Karen Plunkett-Powell (link to the right). Below, here is where Woolworth's used to be located in Utica, and what it looks like today. Not too long ago, I became interested in a new hobby - collecting ephemera. Mostly postcards, but also matchbooks, newspapers, etc. When I first began collecting postcards, I wondered exactly where I would start. I mean, if you think about it, there are postcards for just about every subject and location. 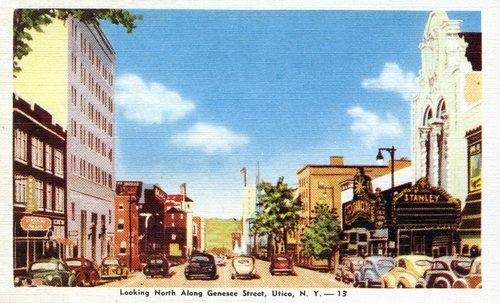 I decided I would start by collecting old postcards of Utica, NY (where I grew up for most of my childhood). The city is fairly old, has many interesting sites and structures (including many that have been around awhile), but is not so big that one could get overwhelmed trying to collect a broad cross-section of important points of interest. 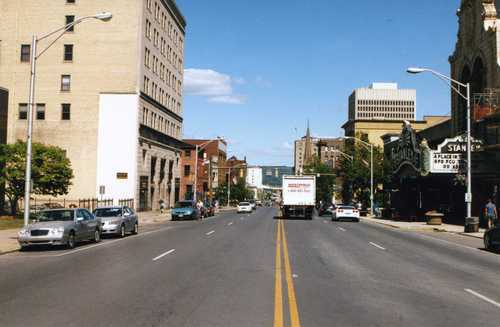 According to their website, "There are four major local presenters that use the Stanley: the Broadway Theatre League which brings in touring Broadway shows; the Munson-Williams-Proctor Institute Great Artists Series which features the best in opera, recital artists, and dance companies; the Utica Symphony Orchestra; and the Mohawk Valley Ballet." 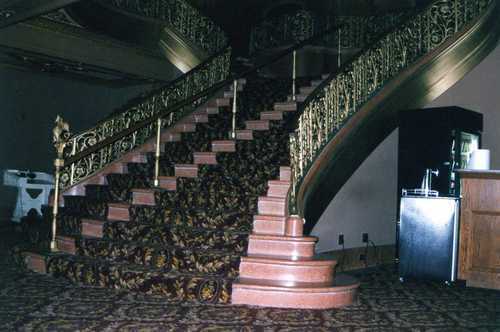 However, the Stanley is currently being renovated, to the tune of $16.9 million. This is in large part to allow for a larger variety of shows (which could not perform here earlier due to size, complexity/number of props, etc.). The Stanley Theater, under construction. 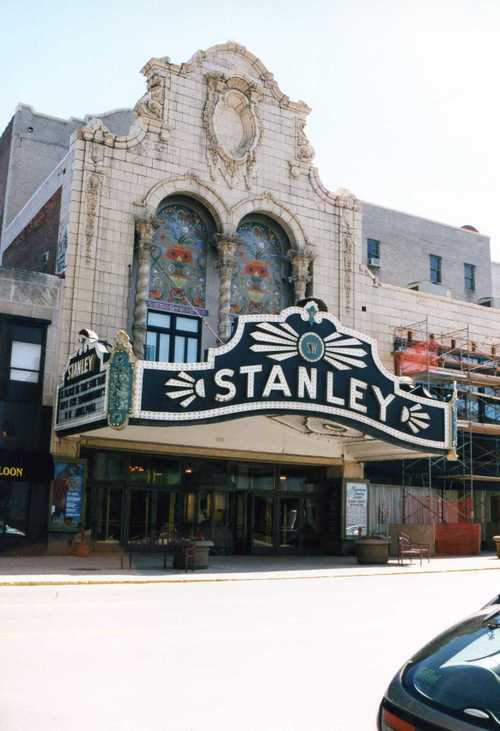 I can recall going to the Stanley regularly since I moved to Utica at age seven. They often showed movies there when live performances weren't scheduled, and I also remember attending some children's shows as well. As I got older, I was lucky that my mother wanted to instill in me an appreciation for live performances (though I wasn't as enthusiastic at the time! ), and we went as a family to see musical acts like Chet Atkins perform, as well as plays like They're Playing Our Song. When I was in high schools, I saw Kansas perform at the Stanley when the regrouped to promote their album Power, and I saw Robert Palmer on his Simply Irresistible tour. However, it is only as an adult that I have an appreciation for the venue, and not just the act. 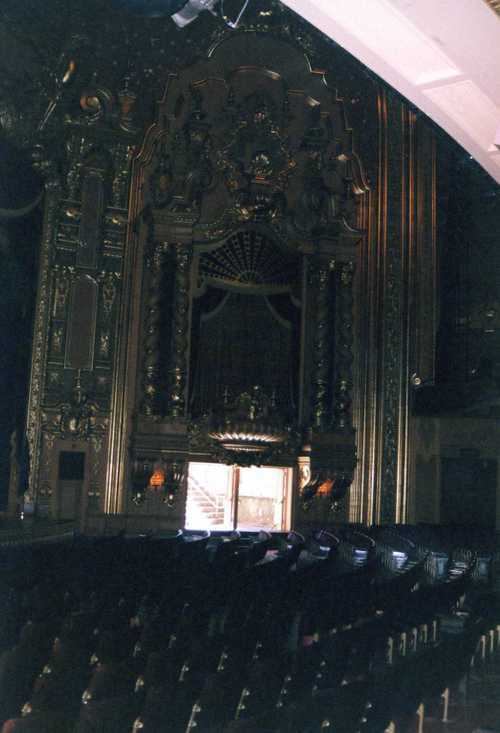 The pictures aren't great - I took them with an old camera over a year ago, while construction crews were in the throes of remodeling (I actually snuck into the place through the only unlocked door I could find, after checking about 10 other ones...). The lighting was dim, the camera so-so, and my photography skills non-existent. However, I'm glad I was able to snap a few of these off prior to the remodeling being complete, since I am really looking forward to comparing them to the new look. I am hoping I get to attend a show at the Stanley this summer, even if it's just a movie. My understanding is that the construction should be done (if not, I'll just have to find another unlocked door!). What I am most happy about is that the Stanley is still there to be visited. In this day and age, that is no small feat. 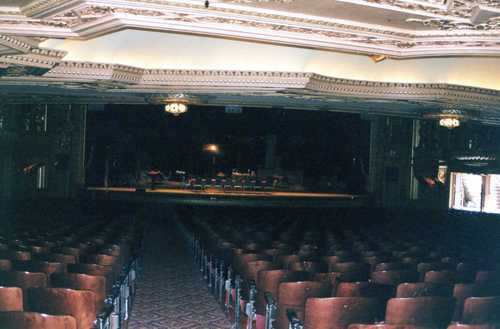 Malio Cardarelli, an author and historian of all things Utica, writes in his book Downtown Utica about the number of theaters Utica used to have - The Colonial, The Majestic, the Utica Opera House, the Avon, the Olympic, and the Utica Theater. They would host all manner of performances, and were quite popular before radio, television, and the automobile provided increased competition for audiences. Now, all that's left is the Stanley, but at least there seems to be enough good sense to hold onto it. Oh, here is a picture of the Stanley from one year ago, from the same vantage as the postcard above.